A small stand in the Oyotunji village. Gabriel Njimu Murei ’18- One of my favorite things about this immersion trip is when our class visited the Oluntaji/Oyotunji Kingdom. As we entered into the suburban village, we were greeted with a hospitality like no other. This included a complementary tour of the entire village and more importantly the religious shrines. 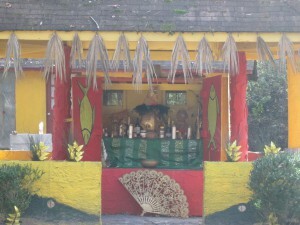 These shrines contained artifacts and gifts to the orisha gods who set the guidelines and of this upon this small society. After the tour was over we had a chance to socialize with the King. The King narrated on the purpose and motivation of the existence of the village. He stated that African Americans are portrayed as people who have no culture to value and be proud of. We are people who have no gods and our beliefs are based on the influence of the transatlantic slave trade. Therefore, the village promote and implement African traditions that were apparent before the trafficking of African Americans to the Americans. These traditions include respecting nature because everything is interconnected. Our past Ancestors layed down the thread work for the past, present, and future. William Shaw ’18- “You are leaving the U.S. You are entering the Yoruba Kingdom.” This is what the sign stated outside the Yoruba village located in South Carolina. The people of this village are a part of the Oyotunji Tribe under the Yoruba Kingdom. Entering this village I had no idea I was walking onto Sovereign African land in the United States. Here, one of the women in the village welcomed our group; then gave us a tour of their village and shrines of their gods, better known as Orishas. This is when our class got to learn firsthand about certain Orishas that we have been reading and studying about in class, leading up to this immersion trip. 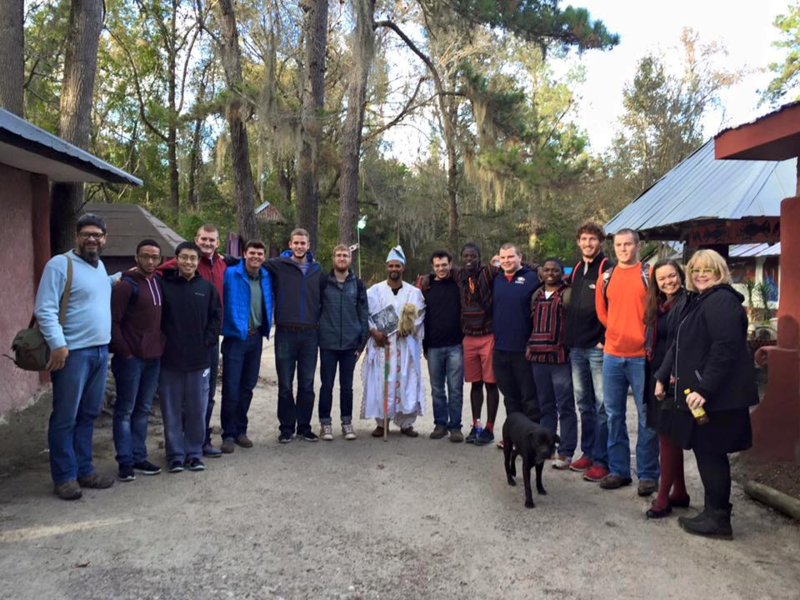 The group with the King of the Oyotunji tribe. We were then given an authentic Oyotunji lunch after our tour. Followed up with a talk from the King of the village. This was a very eye opening talk, allowing me and my classmates to learn even more about the Yoruba. Answering questions we had and filling in the blanks that readings and class discussions just could not answer. The personal account from the King himself provided a complete cultural and historic understanding of how this certain group of people came together and now live on Sovereign African land inside of the United States. 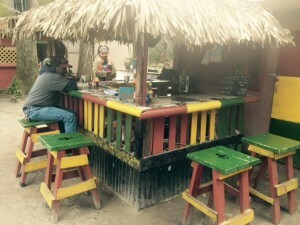 Traveling all over Savanah Georgia, witnessing the Yoruba as well as the Gullah Geechee people and culture is an experience in which everyone should witness. Luckily my classmates and I were able to observe all of this firsthand. Embracing different cultures is something I will never forget and gave me knowledge I will carry with me for the rest of my life. Savannah, Georgia is an amazing city filled with such character and history and I cannot wait to go back! 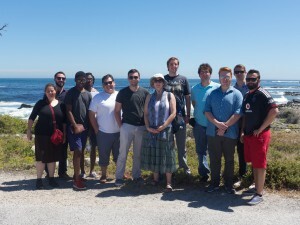 A group shot at Robben Island. 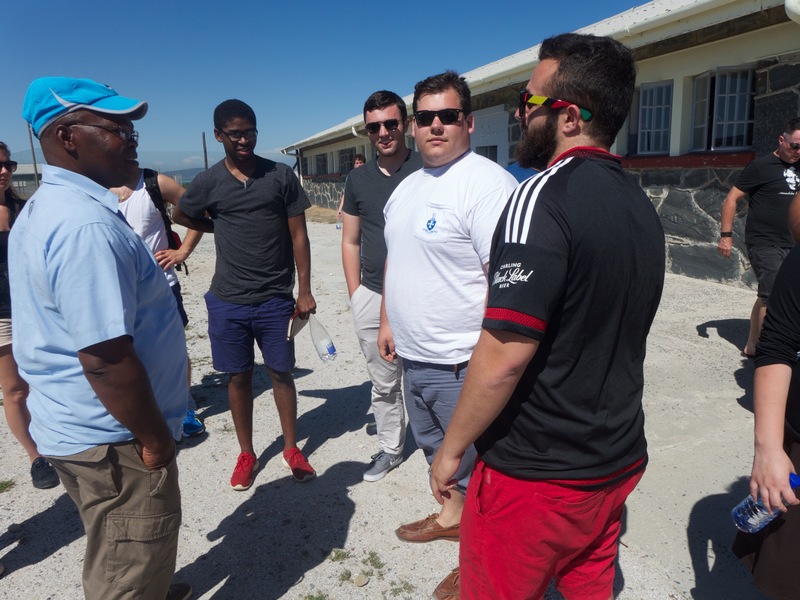 Christian Rhodes ’17 – 18 years – that is how long Nelson Mandela was incarcerated at Robben Island. Robben Island is a 2sq mile island just off the coast of Cape Town where political prisoners and other violent offenders were housed from 1961 until 1996, when it was closed and the prisoners were transferred out. Three post apartheid presidents were housed on the Island in Nelson Mandela, Kgalema Motlanthe, and current president Jacob Zuma. The Museum that is now accessible by the Public is a sign of such oppression that it is hard to swallow as a tourist visiting South Africa for the first time. The mere fact that we had the ability to hear stories from a former prisoner is very telling as to how far the country has come in terms of healing, but he made sure to point out that the process is not complete, there is still healing to be done. His life for 27 years consisted of monotonous routines and constant threats of violence from the Guards. He was the most influential individual in the Revolution for equality in South Africa. He was classified as a political Prisoner and enemy of the state for speaking out against the Apartheid government. Mandela spent his afternoons in the quarries carving out limestone and moving large chunks for nothing more than cruel punishment. He was confined to a single cell that was minimalistic and bare. The most inspirational part of the entire situation was the fact that Mandela himself was still able to love and forgive the men who locked him up for 27 years. The south African apartheid was a dark time in history but moving forward, awareness and forgiveness are how the country is moving forward. Gage Ulery ’18- Right when I asked to join the class, I had no idea what I was in for. While learning about the different themes in class such as Candomble, the orisha gods, and all the different aspects of this religion that was new to all of us, I started to think about the immersion trip and the places we will be going. We were not at all expecting to have the great journey that we had. It all started on a Saturday when we all woke up way to early to do something we had no idea what to expect. On the first day we traveled through the channels of the Atlantic Ocean to reach Sapelo Island. We had to reach the island by a short ferry ride which gave us a great view of the vast Atlantic Ocean and really stressed the long journey African American went through to come to the Americas. Once we reached the island, we were introduced to our tour guide J.R., who was a 5th generation resident of the island. There we went to different locations all over the island such as: Chocolate, an old plantation, the common area where the gas station and a local school or learning center was, and we went into the community where we could talk to the locals on the island. Sapelo really showed us the difference in land from the Midwest to the South and how the land was, and still is, able to grow goods such as cotton, indigo, and rice. On the second day, we got to experience, in my opinion the most influential part of the trip, the First African Baptist Church in Savannah. This was a remarkable experience because it touched a lot of my project topic of Call and Response and the communication of African Americans that carry on today. The songs and praises that were sung took place back in the 1700’s and 1800’s and still inspire people today. There we got to experience how traditional Southern Baptist praise and worship their god. The celebration included the singing of a small group of three women singing beautifully, clapping of everyone in the building, and the continuous yelling of “Hallelujah” and “Yes Lord”. Entrance to the Oyotunji village. After the wonderful service, we took a tour of the historical places of Savannah by Professor Jamaal Toure of Savannah State University. He took us back into the Baptist Church, down to River Street, and several other locations in Savannah that played a major role in the upbringing of Savannah and its start up. Until this tour, I had not idea that there was such a great slave presence of slaves in Savannah. There is a statue down near the Savannah River, that shows a family that is in the middle of the slave trade and the young boy is looking East towards the homeland of Africa. There was such a large African presence in Savannah that a lot of the cuisine and local shops are inspired by these people. 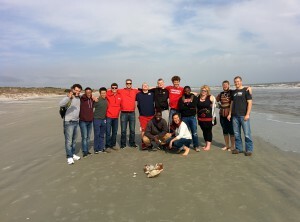 The next place that we visited was Tybee Island. The island was known notoriously for its large rice plantation and the thousands of slaves that died in this area because of the malaria and dangerous living conditions that the island possesses. On the last day that we were in Savannah, we visited an actual African Village in South Carolina but it remains part of Nigeria. While we were at this village, all the students could relate to what the villagers believed in because they practiced Candomble. We got to speak with a high priestess of the village and we got the honor to speak with the King of the village. Even being at the African Village Oyotunji, it all related back to Savannah and the large slave population that it possessed at one point in history. I am extremely grateful that I was able to go on this Immersion Trip because of the amount of information that I learned and the experience that I gained that I would not of gained if I didn’t go to Wabash College. 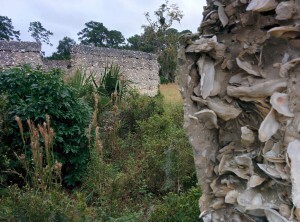 Tabby structures on Sapelo Island. Today was our last day inn Savannah, GA. With it, comes a time for reflection on everything that we have either seen, felt, or experienced during our time here. Coming into this, I had already created an idea of what I would expect. We would take a few trips around Savannah, visit the Sapelo Island, and look at the historic aspects that the city had to offer us. What myself and my classmates came into contact with, however, was an experience greater than what we could have asked for. One key aspect of the trip that I discovered was how much of an impact the African slaves that were brought to this country played in both the creation and growth of the Savannah, GA that we now see and enjoy today. From the construction of the beautiful red brick and mason work of the city, the cultivation of the expansive cotton and rice fields that made South what it was, and the use of the scraps that were given to them to make the infamous “Southern dishes” that we enjoy today. Those groups of people that first came before relied on their belief in the strength of the ancestors and sought to create a destiny for themselves in a land foreign from themselves. Seeing them use ordinary sea shells to create Tabby concrete (a mixture of water, sand, and lime from burning oyster and sea shells) that only survived the force of annual hurricane storms but even the test of time is something to commend and honor. Throughout the trip, we heard a great deal of honoring the sacrifices of those that came before us and living each day in a way that honors their memory. 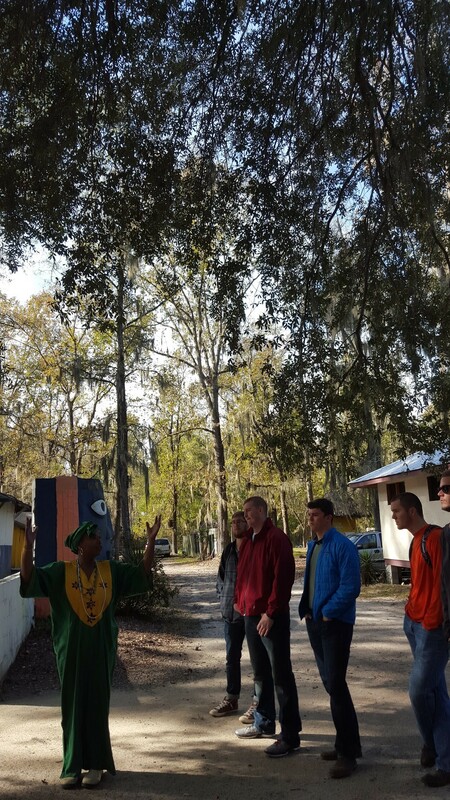 I found myself moved on one particular portion for the Gullah Geechee cultural tour we took with Dr Jamal. On one part of the tour we were brought to a hallow, brick-walled space on the side of one of the historic buildings. When asked on what might have been the purpose of the space, we answered with responses like “A work room” or “A space for storage”. The later response was correct but what we found was stored there was shocking. These spaces were once used to house the slaves who were brought to Savannah before being sold of as property. And to make matters worse, he told us how a few years ago people had been using them as spaces to park their cars. The place where my ancestors either took their last breath or breathed in subjugation was beyond saddening to me. I left that place not knowing what to think or feel. Now, as we are about to head back to cold Indiana, I leave with a better appreciation for not only the true history of this country but mine as well. To take pride daily for the sacrifices those that made it so I could be here and not dishonor their memory. I am truly grateful for having the opportunity to go on this trip with an amazing and fun group of guys and professors that had the vision to make this trip a reality. 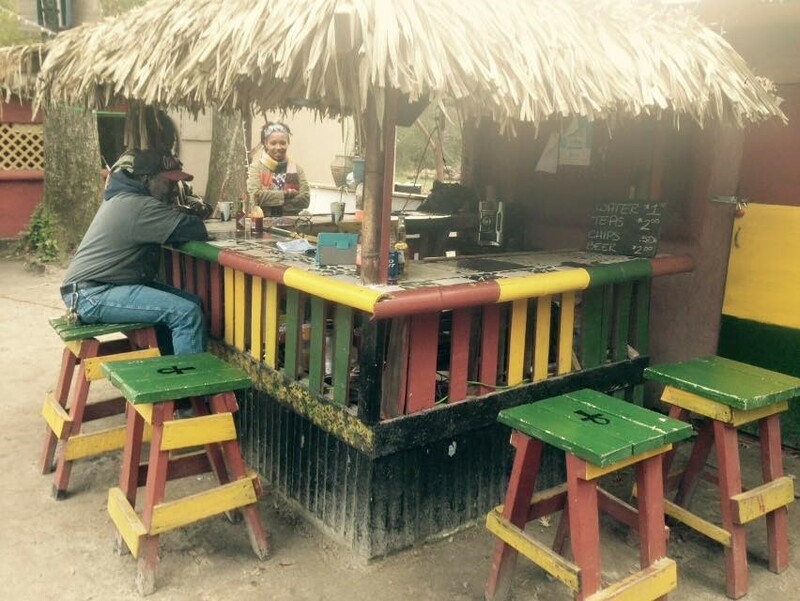 Carlos Mejia ’17- Over the course of the trip we have went to a variety of places that have been influenced by African culture. During the first day we went to Sapelo Island, where we found the Gullah Geechee: a combination of different African American cultures in one area. I learned that the Gullah were originally Muslim and were forced to adopt the religious Christian Beliefs do to Slavery: resulting in a mostly a Baptist belief system. The evidence was in the cemetery that is how the graves were set up: Muslim graves were facing the east and Baptist were facing the left (I would assume out of respect for the Muslim culture). As for the next day we went and witnessed a Southern Baptist seminar, which contained some interesting aspects. I noticed that when the seminar starts all men stand up, and are prayed to be kept safe. However, the women weren’t at all prayed for, it looked as if they are just acknowledged but not kept in their prayers. The seminar was very interactive; a really cool aspect was how he pastor was keeping the people or followers participation in the seminar alive. I also liked how the people were very welcoming throughout the entirety of our presence (Wabash Students) as a guest. Later on we continued on a tour explaining the significance of the churches setting. For example, the church is a property not owned by the state, and other houses in Savannah are the same: the symbol of this property are houses with red doors. Another example, the heavenly like interior of the church (light blue walls, cathedral like windows, etc.) are used to prevent evil spirits and or demonic entities or evils from entering the church like a spiritual barrier. 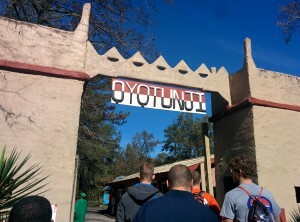 And finally, we went on onto visit Oyotunji tribe. Once we made our way to their tribe they described and showed us what their beliefs were and what the functions they had. Their Gods are deities whom are rooted. They each hold a position that contributes to the elements of the planet we live on, and fight for our lives in ways that are out of our control. The Oyotunji hold sacred shrines for their deities, serving them food or offering objects of value. For example, Oshun is offered fine wine and adores beautiful objects that are shiny or made of the valuable treasures. She sacrificed her beauty the one thing she adores most of all to let the rain return to the earth. 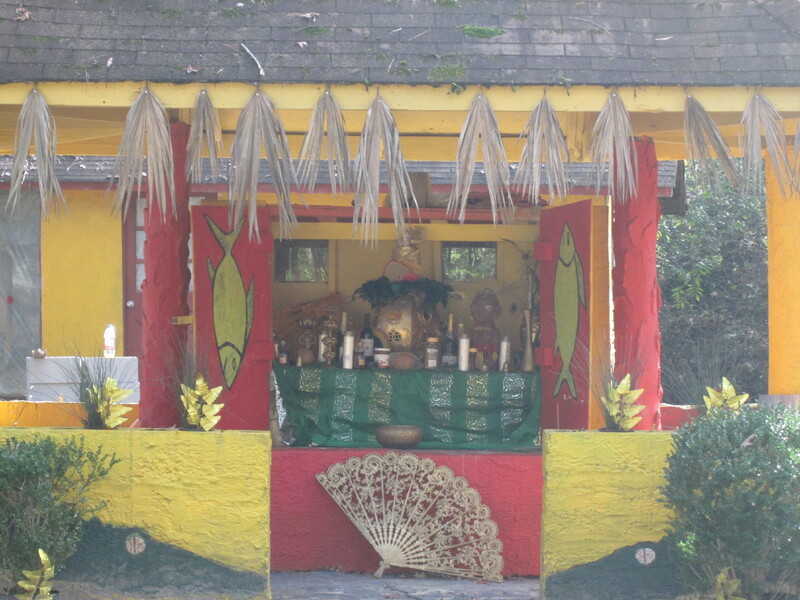 Oshun’s shrine was one of the most amazing things to see and hear about. These events and places were priceless and remarkable to witness for myself. I am thankful for the opportunity Professor Morton and Wilson provided me with this Thanksgiving break. Shariff Harrison ’16- What does it mean to be genuine or truly sincere in today’s society? Today, I found myself in a state of confusion while internalizing and determining the difference between people’s intentions behind their actions and words. While visiting the African kingdom of the Oyotunji, located in South Carolina, I was quite surprised on how organized and educated the people of this culture were. Their village consisted of shrines and temples dedicated to their Gods (Orisha), an education full of agricultural skills and a good amount of scaffolding embedded within the culture itself, as well as other rudimentary foundations that could be found in America. The Oyotunji was created to preserve the heritage of Africa after having their identity stripped away from slavery. This village was genuine and sincere in their actions and I was able to witness this by the manner in which the people carried themselves and how they interacted with each other and the class. During our visit, we were hosted by a recent member of the community and spoke with the ancestral/elder priestess and the king of the Oyotunji. Our host was fairly new to the community and did an excellent job showing us around to get a general understanding of how one would live in the village. Although, we had a great hostess, the most significant part of these interactions were the talks with the priestess and king. The priestess opened up a new world of connections, explaining and inviting us to explore the concept of living through our ancestors past. She had cast a tone of confusion and induced a trace of deep self-reflection of character upon students by asking “Why are we here having this conversation about our ancestors?” The priestess challenged each of us to learn the story of our ancestors as well as the truth behind history because of its bias or “happy and willing” aspect (i.e. Christopher Columbus and the Native Americans, Slavery, etc.). Following the priestess was the king, who was very knowledgeable and aware of the current events and structures of today’s society that spoke about the heritage and development of the Oyotunji. I enjoyed these interactions because I have never heard of a king humbling himself and setting aside his duties to speak with guest. I also enjoyed hearing the dark but painful truth about what actually happened during these times of celebration for one people and despair for another. These interactions and talks were loaded with information about the slavery and religious intermingling. However, I find it extremely difficult for people that are observing a culture from an outside perspective to understand the cultural differences that are presented. I also find it difficult for these same people to discredit one’s culture because of these differences. This make me wonder if they truly care about what was sacrificed for them to make these things possible. Are these people sincere when they shake hands? Are they sincere when they say that they’ve enjoyed their time there? With recent events and movements spurring out of rage and oppression, I continue to struggle to identify whether people in the media and everyday life genuinely care about what is occurring or just want to take the role of good guy to fit in. Like the king said, “actions speak louder than words.” It’s the actions that count, words mean nothing and will continue to go in vain or unnoticed until someone takes initiative. Mac Norton ’17- It is 6:10 a.m when my roommate and I’s alarms sound off loudly in unison. As our barely awakened bodies moved through the morning rituals, we knew nothing of the day to come. Where we would travel, what we would see, today’s experience, at that point it all lived within two words, Sapelo Island. 7:30 hits and we are all packed in the van hurdling down the surprisingly busy rural Georgia highway. A few miles here, a few here, a few turns every direction all give way to beautiful miles upon miles of Georgia low country articulately dissected by muddy Georgia waterways. The van comes to a halt at the visitor center and we all file out of the van under the partly cloudy Georgia sky. We shuffle around for a bit and make our way towards the road to the ferry. The class in its entirety steps onto the nice large ferry, and in a few minutes we’re off. We pass birds, fishers, other boats, and even answer a few questions about the College and the course prompted by some other passengers on the ferry. A windy twenty minutes comes to an end as we find ourselves at the dock of Sapelo Island. We see other people, cars, trucks, and a hunter, how different is this so called “island” anyway?? Well, was I in for a lesson. We hop onto a buss with our tour guide J.R., a man who lives on this island and was born and raised here. He welcomes us to Sapelo and gives a short introduction. With that, the trip is on. A horeshoe crab on the shore of Sapelo Island. 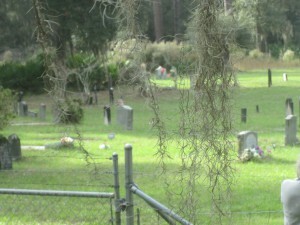 We stop at the most barren cemetery I’ve ever seen, where he explains there are graves here from the early 1800’s all the way up to March of this year. We take pictures from outside the fence, as he explains the ground is sacred, and tourists have a way of unknowingly disrespecting the area when let inside. Our old yellow school buss winds around mostly gravel and dirt roads, as we spend a short amount of time at the visitor center where we see animal skulls, turtle shells, horseshoe crabs, and even chew on a toothache plant that literally numbed our entire mouths. We stop at the smallest convenient store I’ve ever seen, where we all buy a drink or two and a small snack. We walk around outside and find a tree with small oranges growing on it; some of us pluck one off and take a bite. They were surprisingly sweet! We drive to the lighthouse and beach on the island, where we eat a fantastic semi soul food lunch and take a long walk on the flattest beach that exists. 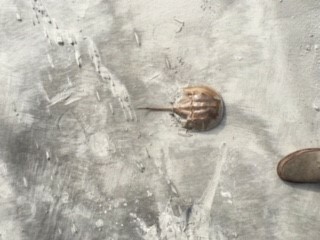 We walk around and find several horseshoe crabs and take several pictures both individually and as a group. We all pile into a smaller van and journey to the north end of the small island. 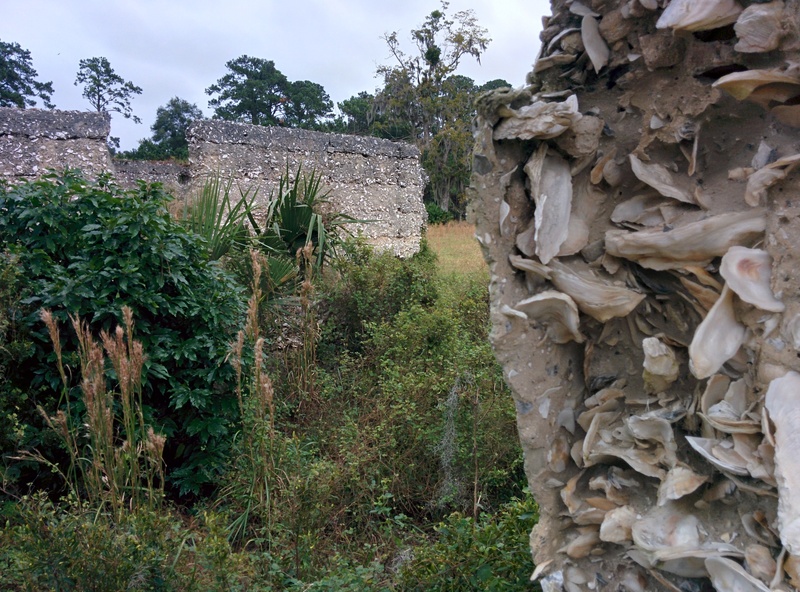 This magical place seems untouched, we see tabby ruins from the very first slave quarters ever built on the island, we enter a barn that stands today with several names carved in the walls. We enter the Reynolds mansion where we see the circus room and bowling alley. We become a part of something bigger than ourselves; we open our mind to a way of life that is foreign to us. There re two gas pumps on this island, you must own land to have a car on the island, there aren’t any police officers, there’s no need. All these things combined to provide a truly wonderful experience, an experience unlike any other I have had before. I am truly thankful for the opportunity my Professors and the College has provided! Long live Sapelo Island, and Immersion Trips. Thank You Wabash!! Nick Frye ’16 – One thing that I would like to mention about flying in South Africa is the lack of security, compared to an American airport. Once we had checked our bags and received our tickets we went to the security line that took no time at all. 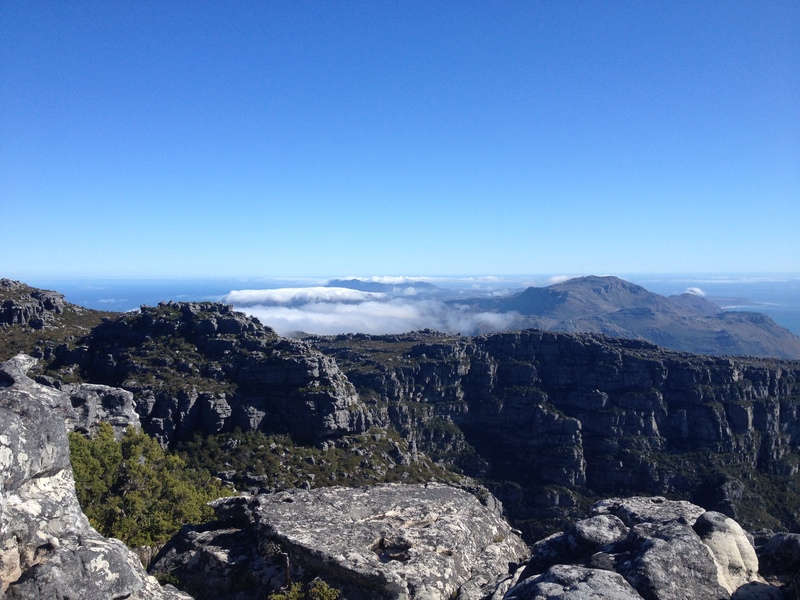 An incredible view of Table Mountain. At the end of the security was a single metal detector and an X-ray machine for bags. Before proceeding through the metal detector the only thing I had to do was empty out my pockets. I was beginning to take of my shoes when the security guard just said no and waved me on. Like I said before this lack of security at the airport is strange to an American. It is also strange because security is a huge factor here. Almost every house here has either barbed wire, electric fencing, or bars on all of the windows. There are also security guards who stay outside at night to make sure specific properties are not broken into. Talking to a former political prisoner of Robben Island at the prison itself. 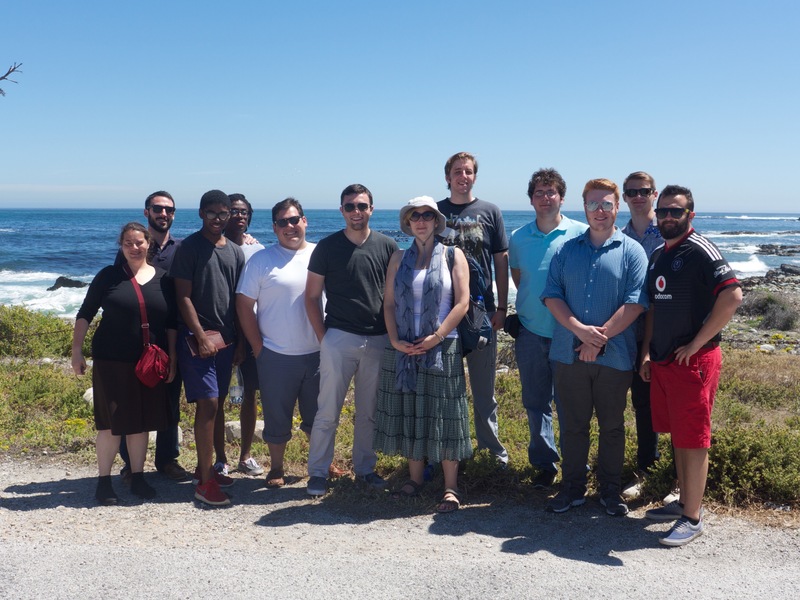 Once we arrived in Cape Town we quickly proceeded to check into our guest house and then went on our way to one of the seven natural wonders of the world, Table Mountain. Table Mountain is impossible not to see from any point in the city. It stands at 1,086 meters at its highest point. To reach the top we used a cable car that can hold 65 people and its floor slowly rotates as it ascends. The cable car service has been officially operated since 1926. Once on top of the Mountain you receive a view like no other over looking Cape Town, False Bay, Robben Island, the Atlantic Ocean, and if it was not for the clouds rolling in, The Cape of Good Hope. It is truly difficult to describe the feelings that one gets on top of the mountain. My only advice to you is just go. Discussion and unpacking after an emotional tour of the Apartheid Museum. 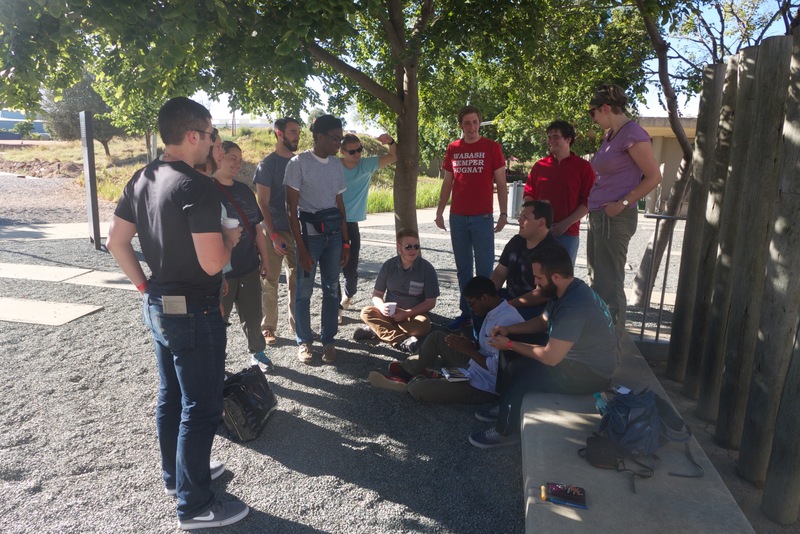 Zach Greene ’16 – I got my privilege checked at the Apartheid museum in Johannesburg. In a stroke of genius, the creators of the museum made two entrances. Through random selection, your ticket to the museum is either labeled ‘white’ or ‘non-white.’ The entrances lead down to separate corridors and then back together. After walking up what seemed to be an endless ramp in the ‘white’ entrance, we reconvened with our ‘non-white’ classmates and shrugged off the entrance to the museum. However,the entrance ended up leading to my largest takeaway of the day. While my ‘white’ classmates and I were trekking up the ramp, our ‘non-white’ counterparts took the stairs. Neither of us realized the difference until a class discussion highlighted the dirty details. The museum was able to replicate the conditions of Apartheid that once dominated this beautiful country. 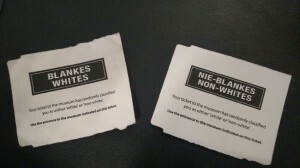 Tickets were randomly assigned a race – white or non white – to give a sense of Apartheid era segregation. Entrances were different. Whites were not only privileged in using the ramp, but alsoin not knowing how disadvantaged the ‘non-whites’ were. Now imagine a world were all the advantages are given to whites and the disadvantages to non-whites, this was South Africa. I have always known there is inequality in the world. Like many other parents, my mom and dad taught me to watch out for injustice and stand up for what is right. However, my eyes were quickly opened when finding out the differences in entrances to the museum. I realized that despite being vigilant of inequality there are still injustices that go unnoticed and uncorrected.